When I did that last display post, I forgot to include the one for Perplex. A comment from Serena reminded me that I had snapped a photo of that display when I saw it at Ulta. Perplex is Revlon's version of Chanel Paradoxal. I've only seen it at Ulta and at one CVS. It's a small display, with eight bottles of that one color, and made of paperboard. 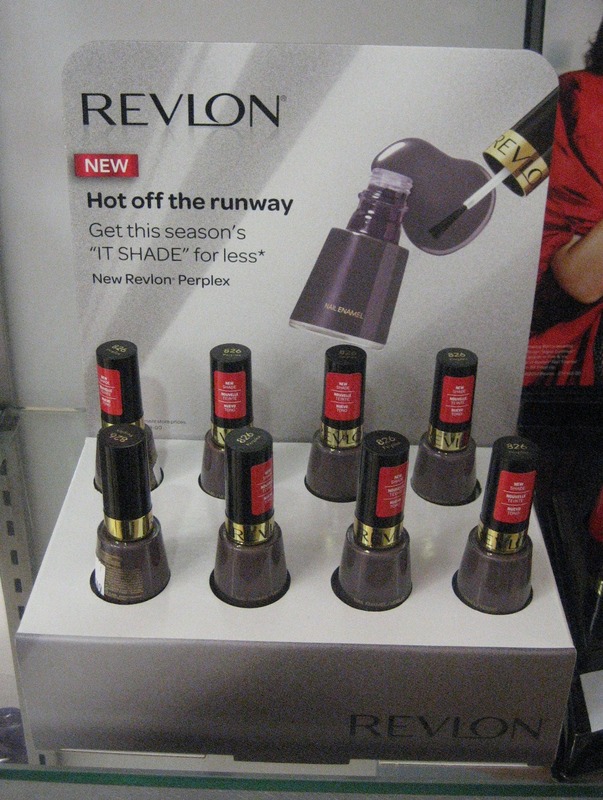 Speaking of small displays, I spotted two others from Revlon (these aren't cardboard, though) while doing a Walgreens tour last night. 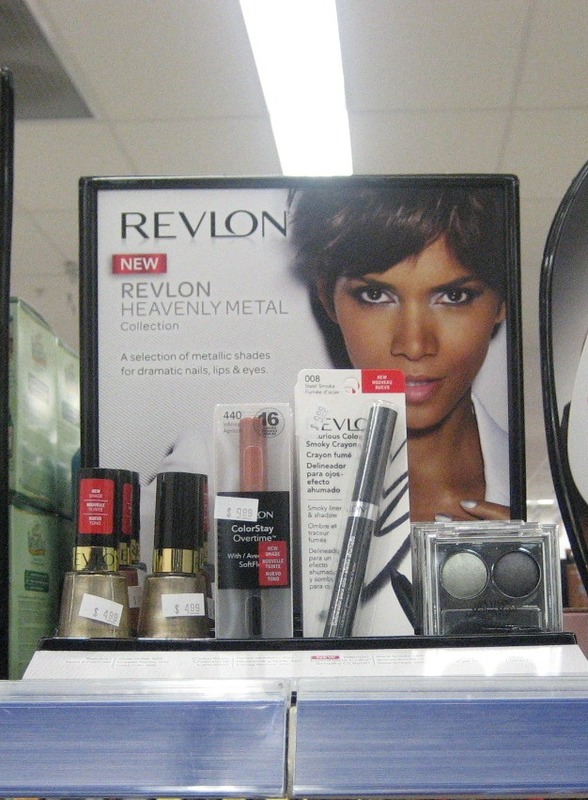 First, there was a compact version of Heavenly Metals (the bigger one is in that last display entry). I think it had all the same polish colors in it, but as this one was also on a shelf above my head, I can't say for certain. I also saw Suede Rhapsody in that same compact size (the bigger version has been around for several months; there's picture of that in this entry). Since this one was on a shelf at a normal height, I could see that it had the same four polishes as in the bigger one. I even saw yet another Top Speed display; it was the tabletop size as shown in the last display entry but had a different assortment of colors than that one. I dont have a picture because it was almost empty and the color names were printed in silver text on clear plastic, so not very legible. I think that's quite enough from Revlon for now. I snagged my Perplex at Ulta. And I actually saw the Suede display the other day while buying my top speeds and picked up the green one! Ruby Ribbon has just hit the UK. We are somewhat behindhand. Wow, they're not even being coy about it, are they? I want Perplex. Thanks for sharing! 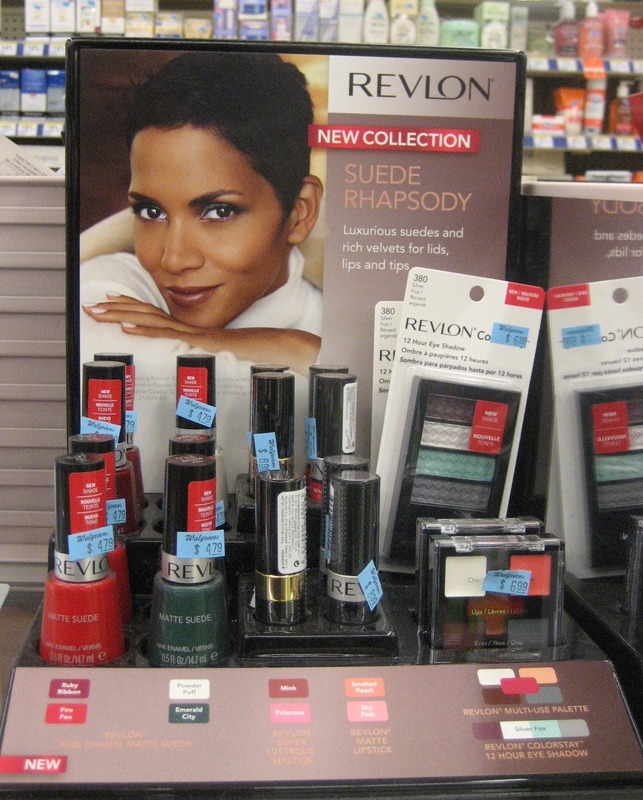 Oy drugstores here stink...I keep looking for the new Revlon Top Speed Royal and keep striking out...harumph! Thanks for posting the picture, I'll be on the look out for this one since I didn't want to splurge on Chanel! Wow, I'm impressed by how full those displays are! Where I live, the displays rarely have all the items/colours promised, even when it's just been put up!